CBA (Commonwealth Bank Australia) is one of the largest multinational financial institutions in Australia with business around Asia, New Zealand, the United Kingdom, and the United States. CBA was founded in 1911 under a Commonwealth Bank Act and in 1912, CBA commended the operations, empowered to conduct general banking business as well as savings. Today, CBA has grown to the business where 52,000 employees are working in the Commonwealth Bank Group along with more than 800,000 shareholders. The bank offers the full financial services’ range to help people manage as well as build their finances (CommBank, 2018). The organizational structure defines how organizational activities such as supervision, coordination, and allocation are directed towards the organizational goals achievement. The organizational structure depends on the organizational objectives and it determines the modes I which organization performs and operates. There are multiple kinds of organizational structure and the structure of CBA comprised of a board of directors, CEO, COO, and CFO along with the international operations teams that directly reports to the CEO. Although the leading executive is CEO, being a functional organization, CBA poses indicatives of the divisional structure, and such organization’s type can be perfectly described as the matrix-project organizational structure. This paper briefly discusses the matrix-project organizational structure of CBA. Retail Banking Services: that will meet the personal and small business customers’ financial needs who are seeking affordable and accessible banking. It incorporates the former Australian Financial Services’ parts as well as Customer Service Division (CBA, 2001). Premium Financial Services: it is responsible to bring together the existing proprietary of bank related to wealth management system in order to provide the customized services as well as products for clients who have more complex financial needs (CBA, 2001). Investment and Insurance Services: it brings together the funds management of group along with the insurance and superannuation businesses, and master funds. This includes Colonial Insurance and Commonwealth Investment Management, Colonial First State, financial advisors and agents under existing brands, and third-party support service and Commonwealth insurance for brokers (CBA, 2001). Institutional and Business Services: it caters for the institutions’ financial needs along with the middle market and corporate business customers. More traditional business services and capital and risk management services are offered to the clients who utilize the business centers and relationship management approach (CBA, 2001). Michael Katz for Premium Financial Services who was prior Head of Institutional Bank. Michael Ullmer for Institutional and Business Services who was prior Group General Manager for Financial and Risk Management. John Mulcahy for Retail Banking Service who was prior Head of Australian Financial Services. The Matrix-Project structure of CBA, operating since February 2002, has enhanced the development opportunity for the senior executive team of the bank. The matrix structure is basically the combination of the divisional and functional structure where departments are divided by former within the organization by the performed functions, while the latter distributes it by customers, products, or geographical location. The organizational structure used by CBA is atypical as it brings together managers and employees from various departments to work with coordination and achieve the organizational goals. The matrix-project structure allows Commonwealth Bank Australia to have the divisional structure’s flexibility by assisting the activities of separate divisions approximately as separate profit centers of businesses and operate independently to achieve the goals of the whole enterprise. While the functional structure of the matrix is usually utilized by the large organizations because this structure is able to organize along the multiple distinguish functional groupings exclusive to their operations: the management is separate for Commonwealth Bank Australia for those in the domestic and international aspects of the organization (Chandana, 2013). The project-matrix structure had recently helped CBA in the proper inquiry of money laundry scandal so that the badly damaged reputation of Bank could be repaired (Ferguson, 2018). This structure has helped the bank to share highly capable and skilled resources between the functional projects and units while allowing the more open lines for communication that is good for sharing the important knowledge within Commonwealth Bank Australia. The findings of this structure have been applicable to senior executives, boards, chief risk officers, lawyers, and auditors of the bank about their way of doing business. This structure has allowed the employees of the bank to communicate with each other even with leadership and executives more rapidly beyond the organizational boundaries, managing a cooperative, good, and comfortable working environment that helped to integrate CBA. The employees of CBA had broadened their knowledge areas as well as skills by participating in various organizational projects and the employees are given a good working environment under this organizational structure to learn new business techniques and grow their professional careers. The employees are highly skilled in the functional department of CBA and project team has accessed these highly skilled employees at the time of their needs and requirements. The sense of job security prevails among employees of CBA so they tend to be loyal and honest to the bank while performing well and ultimately taking CBA to a higher level. These attributes of the matrix-project structure have helped CBA to achieve its organizational goals on various occasions. Furthermore, this organizational structure has helped Commonwealth Bank Australia to win the title of the most sustainable organization in Australia, and a most sustainable bank of the world in Davos, Switzerland, at the world economic forum. Media and investment advisory company based in Toronto, Canada, named Corporate Knights, launched company’s 100 most sustainable corporations all around the globe for 2016 in the world index. In the global index, the rank of CBA was fourth that measures publicly traded companies’ sustainability with the capitalization of the market of at least 2 billion U.S. dollars as of October 2015. The number of factors related to sustainable business is taken into account by this index, such as how social, governance and environmental performance is being balanced by the organization along with the superior return delivery to investors. It shows that it was a great achievement for Commonwealth Bank Australia attributed to its matrix-project organizational structure. Moreover, Commonwealth Bank Australia’s General Manager, Corporate Responsibility, Kylie Macfarlane stated that: “the diverse This diverse scorecard approach to sustainable business practices is valuable in that it ensures every part of the way we do business is considered. This includes everything from our achievement of 35 percent women in senior management ranks to a new target to have 40 percent by 2020; to reducing our energy consumption; as well as ensuring that we have industry-leading and transparent reporting around a range of indicators such as tax paid, superannuation fund status and carbon emissions.” CBA has achieved this corporate social responsibility status due to its strategy and matrix structure while enhancing and securing the financial well-being of communities, business, and people (Mozo, 2016). Although the Matrix-project structure is most suitable for Commonwealth Bank Australia, it has some disadvantages as well as it is much expensive to maintain such organizational structure. The overhead cost of CBA increases typically due to the requirement of double management, moreover, the matrix-project structure is influenced by the size as well as dynamics of the corporation; bank’s finance, marketing, operation, and human resource departments can be found overseas as well while running the international financial institutions. CBA has faced the money laundering scandal under this organizational structure. The employees of the bank have to report to more than one manager in this organizational structure that causes conflict and create confusion among employees. Since the executives have equal power and authority in CBA due to matrix-project organizational structure, such conflicts and confusions are common among employees. In CBA, on multiple occasions, has faced conflicts between the functional manager and project manager regarding power and authority. An employee can possibly ignore either his or her project management responsibility or functional responsibility in the case of overtaxed that ultimately affects the operations of the organization. The matrix-project organizational structure is much expensive to be maintained as CBA has to pay extra money at many occasions to keep its resources intact as all of the resources are not occupied at all times (Usmani, 2012). It is concluded that corporations are simplified in the structure as they are born, as they grown and as they collaborate possibly with other corporations; the time arrives to cater to the latest demands and requirements of the organizational structure. The president or Chief Executive Officer is always the foundation of any organization, however, the key difference between the successful and failing organization is the way how the organization decides to organize as well as structure its decision makers and employees. It takes a careful and thorough analysis of the organization to determine accurately the best and suitable organizational structure and to find the accurate fit; few changes may also be required. 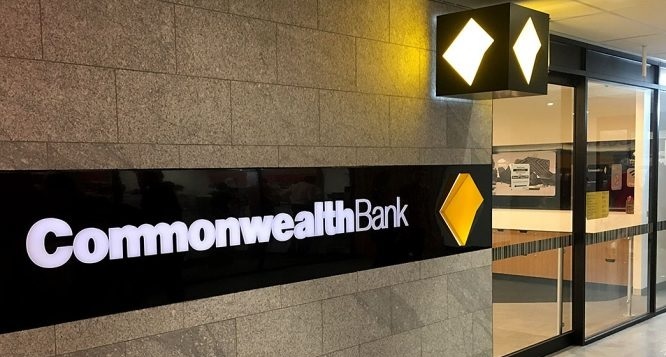 Commonwealth Bank Australia has come the long way from the starting and the organization has been able to adapt the latest structures along the way. Part of the Commonwealth Bank Australia’ success comes from the matrix-project structure of the bank. CBA has thrived and achieved the successful financial corporation position. CBA should define the priorities clearly to its employees so that employees would be clear about their individual responsibilities and roles, especially at the time of assigning some particular and important task, which is counter to, or sometimes different from, what they have been doing earlier. In the case of scarce resources, the competition might arise within CBA to use it that causes the hostility in the work environment of the organization and ultimately affecting organizational operations, hence CBA should be managing and distributing the organizational resources effectively and efficiently to avoid such hostility situation within its working place. Moreover, CBA should not hire the more managers than organizational requirements, that usually happens in matrix-project organizational structure, so that overhead costs could be decreased. As the workload is quite higher in the organization with matrix-project structure and employees have to complete their regular tasks as well along with the additional project related to project that may exhaust them, so CBA should offer the flexible working hours to such employees. There are some resources that are required for the short duration to manage matrix-project structure so it will be better for CBA to take those resources on rent than buying so that extra cost could be avoided.